About 17.5 million people in the United States alone suffer from asthma, according to the Centers for Disease Control, and approximately 7.1 million of these sufferers are children. 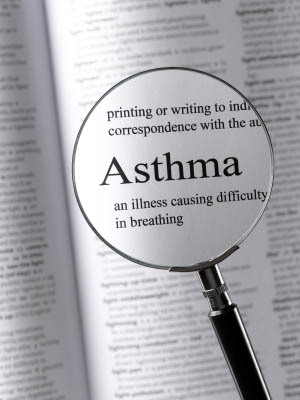 Being an oftentimes debilitating condition, asthma causes inflammation and constriction in the bronchial passages, reducing a person’s ability to breathe. While environmental triggers such as pet hair and cigarette smoke can induce an asthma attack, the anxiety and panic associated with attacks can also trigger or worsen them. These attacks are not always avoidable but, in conjunction with medication and environmental control, meditation may help afflicted people dodge or at least reduce the severity of asthmatic episodes. When unable to catch your breath, you may fear that your heart will stop beating or that your brain will not fully recover from the lack of oxygen. This frightening experience can then create a negative association in your mind regarding the stimuli that prompted the attack, thus creating an irrational fear of it. For example, if you were hospitalized with an asthmatic episode after visiting a pet store, you could experience dizziness or shortness of breath from the mere sight of a pet store afterward. This is due to anxiety and panic from the negative association, not to an actual physical irritant. Because panic attacks and asthma attacks feel similar, mentally and physically, the onset of one can lead to the other. But by addressing the underlying fear and anxiety from them, a person who suffers from asthma can learn to avoid or at least minimize the intensity of panic-induced asthma attacks. Meditation can lower stress hormone levels and decrease activity in the body’s sympathetic nervous system. This essentially puts you in more control of your body’s “fight or flight” response, which is the physical defense mechanism that helps you flee from danger or fight it. Therefore, when you perceive a danger, such as the above mentioned pet store, you use techniques practiced in meditation to stop your mind and body from responding to it with stress and anxiety. The deep breathing used in meditation improves airflow to the lungs, and it may help you remain in control of your breathing at the onset of an attack. When practicing meditation, you remain aware of the discomforting physical sensations as well as the troubling thoughts in your mind—but your inner core remains objectively detached from them. By refusing to entertain the thoughts or focus on the sensations, you allow them to pass through you rather than aggravate you. The increased flow of oxygen and time spent in a state of relaxation can also help your mind and body heal more quickly than it would when in a normal state of consciousness. Meditation produces a calming effect in the body that you can eventually learn to switch to on a conscious level. For beginners it may take time to reach a pure meditative state; however, daily practitioners often develop the ability to reach it quickly. 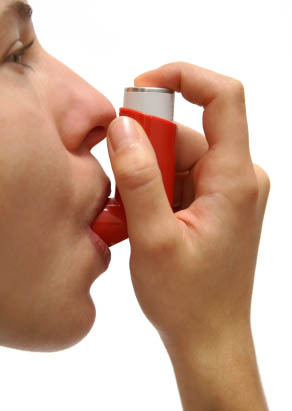 This is beneficial to those with asthma because they are sometimes able to stop a panic-induced attack before it debilitates them.